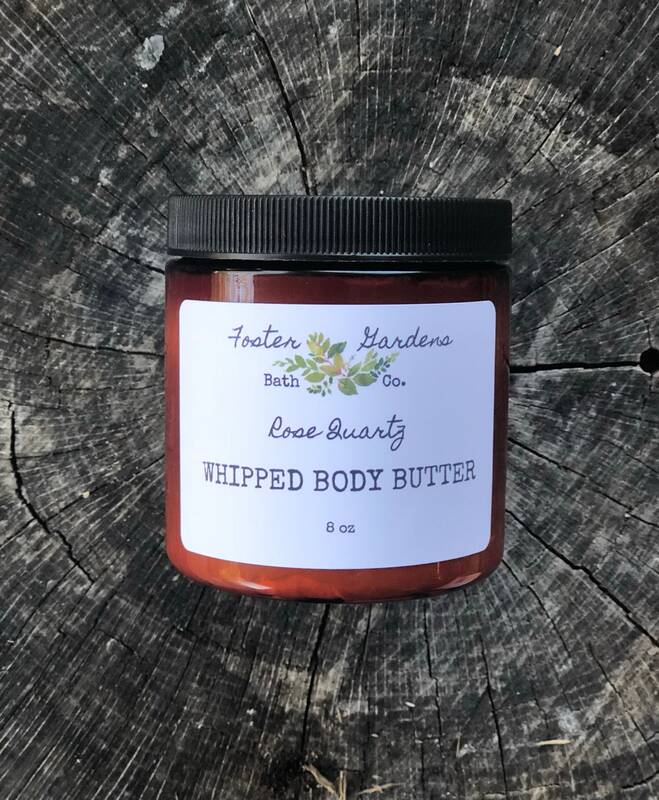 Rose Quartz Whipped Body Butter ~ made with Organic Shea Butter, Cocoa Butter, Coconut Oil, Jojoba Oil, Apricot Kernel Oil, Sweet Almond Oil, and Argan Oil ~ A luxurious and ultra moisturizing combination. 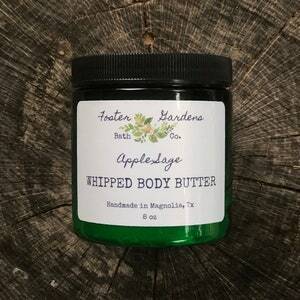 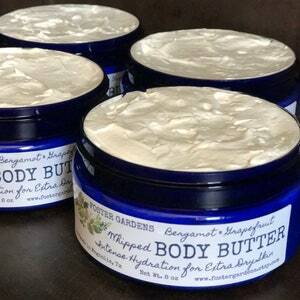 This body butter is a silky whipped texture; it absorbs within a few minutes, leaving skin with intense hydration, not greasy. 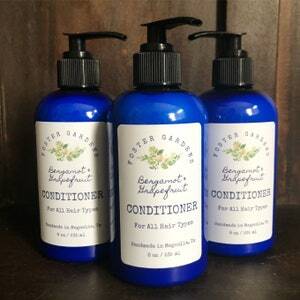 This fresh and uplifting scent is one of my favorites. 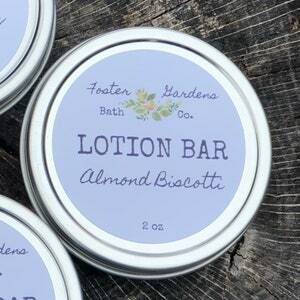 Ingredients: Shea Butter, Cocoa Butter, Coconut Oil, Jojoba Oil, Sweet Almond Oil, Apricot Kernel Oil, Argan Oil, Aloe Extract, Fragrance (phthalate free), Arrowroot Powder.